Google is well-known for constantly experimenting with new designs and UI changes, mostly via limited server-side tests. What we see here is no different; the company seems to be trying out a more rounded search bar, one that matches more closely with the one seen on the Pixel Launcher, on its mobile site. 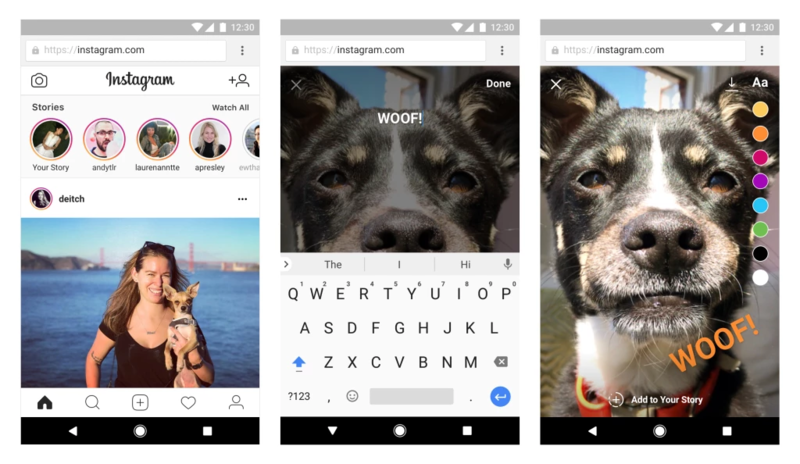 A couple of months back, Instagram added the ability to view Stories on its mobile site. But regarding the ability to post from the mobile site as well, the blog post simply gave the standard "in the coming months." Now, that functionality is here, along with the ability to save posts. Google offers so many products and services, it can be hard to keep track of them all. 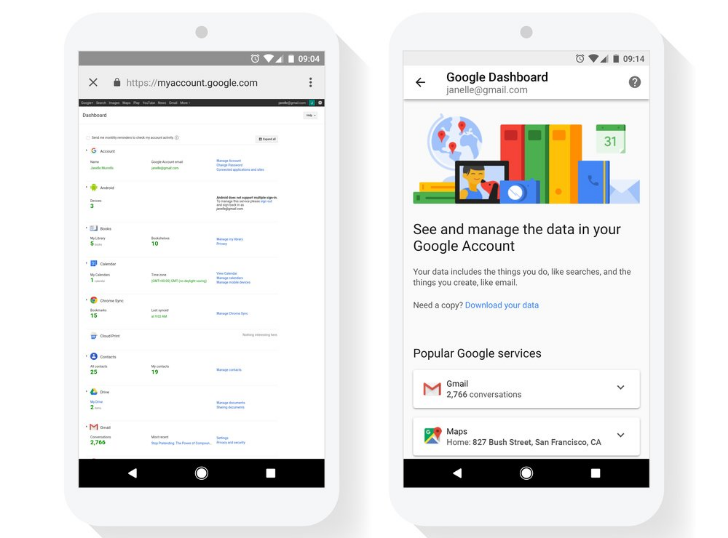 Google tries to address this problem with Dashboard, a place to view all of your account's data in one place. But the page has never had a mobile layout, so trying to use it on phones has been somewhat of a pain. Did you know that the web browser on your phone or tablet waits three tenths of a second after you tap something to actually perform that action? You did if you're a web developer - it's a de-facto standard for mobile browsers, a built-in delay for the double-tap zoom function. 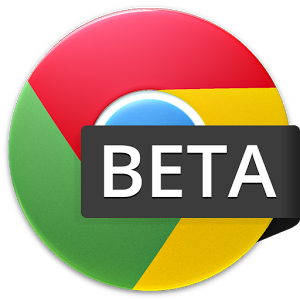 But if you're on the newest Chrome beta, you won't see the delay, at least on mobile sites. Why is this? According to Jake Archibald of HTML5 Rocks (a promotional and instructional project page from Google), it's because this delay is unnecessary if you're browsing on a page that's already optimized for mobile viewing. 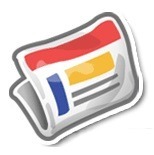 There are no shortage of dedicated news apps available in the Play Store, but the Google News mobile site is about to get a revamp for all the people who rely on it to get their daily fix. With the update, the aging website will finally make the jump into the post-Ice Cream Sandwich era of Android. For anybody who is still using their mobile browser to get weather information, Google has made a neat addition to their mobile site. By searching "weather," you'll see the new widget, and in addition to the same information you'd see regularly, it now has a slider that allows you to see an hour-by-hour forecast of the day. 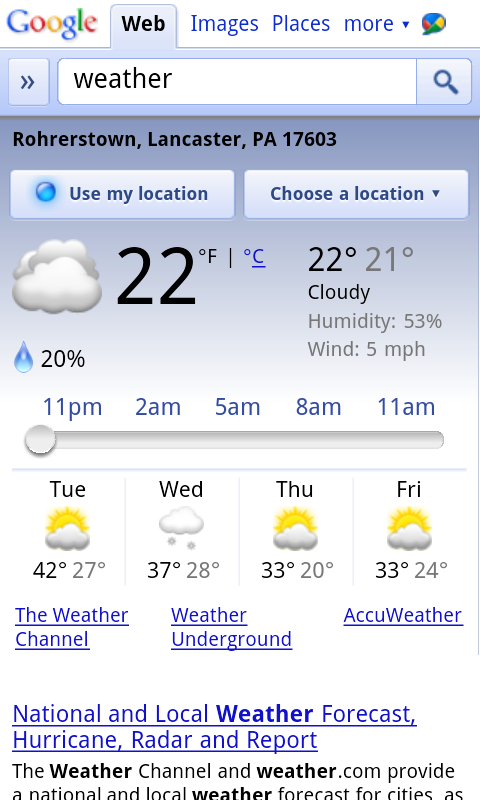 Temperature, wind speed, precipitation, and humidity will change, as will the background of the widget to reflect the time of day. This isn't anything too different than what you would see in a weather app, but the fact that it's all done within the browser makes a strong case for the future of web apps.